When mystery novelist Hazel Martin receives a secretive letter from an old friend who suspects her relatives have murderous intentions, she packs her bags and heads to the country. Tampered medications, symptoms of poisoning, and suspicious accidents all add up to attempted murder, and it's up to Hazel and her siamese cat Dickens to sniff out the clues. But with a house full of relatives who all have a motive, will Hazel be able to unmask the culprit before things turn deadly? 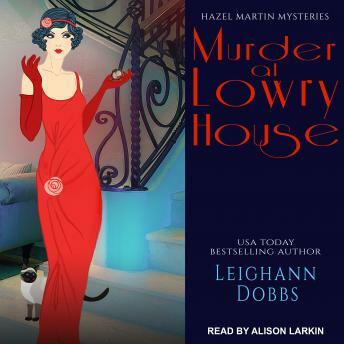 USA Today bestselling author Leighann Dobbs brings back the spirit of the Golden Age of mysteries in this classic whodunit set in the 1920s.